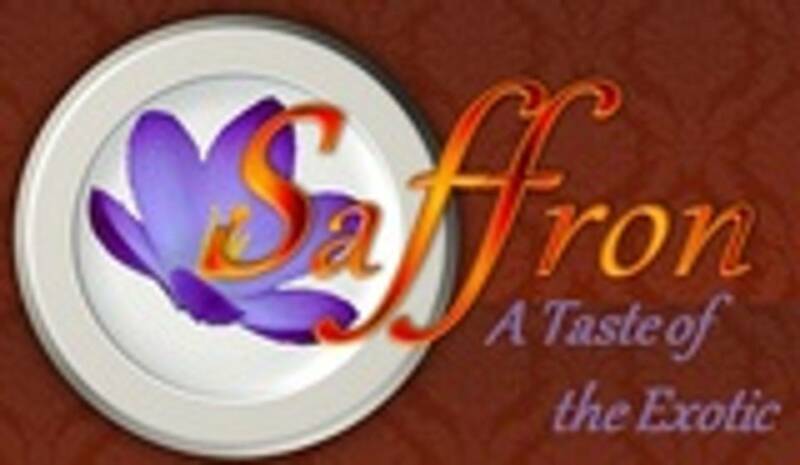 We've been to Saffron three times now and are convinced that this is one of the best restaurants in the whole area! The incredible combination of flavours, and the friendliness of the personnel is second to none! And to think that all of these meals are made from scratch! We can't believe how reasonable the prices are, and we thoroughly recommend a visit to this restaurant. Believe me, you'll be going back - again and again! The Chai is always ready, and Jenn is very attentive. And; It is difficult to describe all the great flavors of everything we had. Their attention to detail is amazing. I would like to say a huge THANK YOU for making entertaining family and friends to easy. And always having the extra dessert to go home after a Sunday brunch is just the best. ?How do you describe such a great restaurant?!? Saffron is the best food around! We go weekly and the daily specials are always a nice treat. There isn't even enough to be said about the desserts!! Yum! Not to mention how kind and enthusiastic Jen is about her food. We are so grateful that they make us food once a week. We were visiting the area for a few days and stumbled upon this gem of a restaurant through the Port Elgin website. It's a treat on multiple levels, from the surprising and welcoming back patio, the attentive, informed and speedy service (Jenn) and of course the delicious menu choices. The portions were generous and reasonably priced. We would recommend this establishment wholeheartedly to anyone looking for eclectic international cuisine. We'll definitely be back when we are in the area. Thank you and keep up the good work! I am part of a food club that promotes healthy eating and we were looking for a restaurant to go to for our Christmas gathering. Saffron staff were so helpful and accommodating. They provided a special main course for us that was vegan and we had many other delicious vegan and vegetarian options. Everyone loved the meal and the service was great. It is not easy to eat out as a vegetarian/vegan in Grey and Bruce so this restaurant is a real treasure. Thank you!! For months friends and family have been telling me about this restaurant. I am very thanful I finally tried it. The mexican beef wrap is one of the best things I have ever eaten. The brisket was melt-in-your-mouth tender and the portion size was enormous. The tortilla is wrapped perfectly so that the extremely juicy brisket does not soak through at all. Grilled perfectly. I will be back and will encourage everyone I know to experience Saffron! I am a local resident and have many, many guests every year. They come for the beautiful beaches, hiking trails and clean air. Now they return for Saffron. It's great to have a terrific place to take guests for dinner or all day Sunday breakfast. Great food including gluten free items and a special every night so you never tire of the menu. It's so important to support our local businesses and with Saffron it's not hard to do. We recently discovered Saffron through a Trip Asvisor search: 3 visits in a week and counting!! So far have been for two Sunday breakfasts (the black bean cheese omelette and the absolute best homefries anywhere), and an excellent chicken briyani. We've booked again for this weekend. A very welcome addition to Port Elgin. we're spreading the word!! After weeks of reading about Saffron and studying the menu on the internet, finally had the chance to eat dinner there this evening - and from the parking lot, the smell of wonderful food was evident. The enthusiasm of the staff was infectious, and added much to our dining experience - but the FOOD - oh my - the food was wonderful. Fresh, and piping hot from the kitchen, filling our mouths with the most wonderful symphony of flavour, all the way through to the sumptuous banana cake for dessert. We will be returning, and bringing friends. What a wonderful "find" - thank you for an amazing meal!